If you’re looking for an authentic casino experience with real roulette tables, chatty dealers and other players to share the fun with, live roulette is the perfect choice! Here you’re able to enjoy the same wonderful atmosphere as you would by visiting a land based casino, with the added comfort of being able to play whenever you like, wherever you are. There are a couple of different operators offering live casino, but the two most recognized ones are NetEnt and Evolution Gaming. NetEnt have been providing gaming solutions for more than 20 years and have long been the overall leading game provider. It was however not until 2013 that they started to offer an authentic roulette experience through live casino. Since then they’ve expanded to support more than 25 different languages and currencies. Evolution Gaming are the pioneers and the leading provider of live casino platforms. Their first platform was released in 2006 and since then they’ve only been expanding. They’ve won several awards, such as being the live casino of the year seven years in a row. 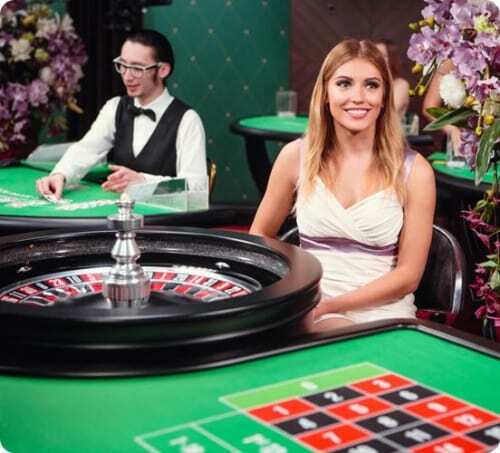 In addition to European roulette, which is the most common version of the game, Evolution Gaming also offers several other roulette versions in a live casino environment. You are for instance able to find immersive roulette – and double ball roulette. Play Live Roulette at Mr Green! 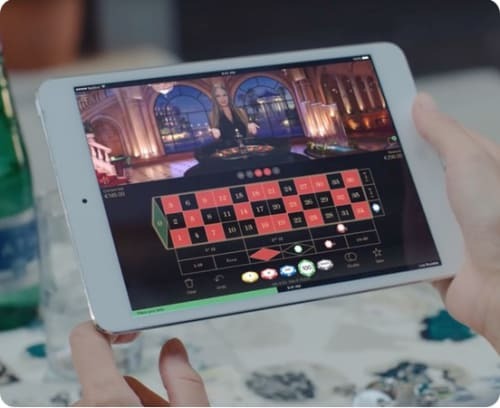 When it comes to live roulette and the experience you can expect from it, the biggest difference between NetEnt and Evolution Gaming is the selection of different roulette versions, round statistics, choice of different camera views and the possibility to have several tables open in the same window. Evolution Gaming has a much wider selection of different roulette versions than NetEnt and offer statistics on where the ball has landed the last 50-500 rounds, which NetEnt doesn’t. On Evolution’s tables you also have the possibility to choose between several different camera views, which is much more limited when you’re playing at one of NetEnt’s tables. If you like playing at more than one table at the same time, Evolution also offers great support for this as you’re able to easily add up to four tables in the same window. This multi table feature isn’t something that NetEnt offers on their tables. Apart from the above, they both do a great job in providing a high quality and authentic roulette experience. They both have professional dealers, good mobile support and a high definition stream with exceptional sound quality.